A press release from Fandango reports that 90% of their weekend ticket sales are for The Hunger Games: Mockingjay Part 1, which opens in theaters this Friday. 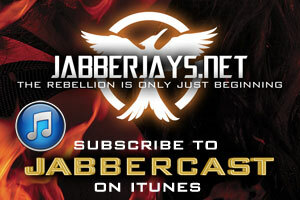 (Or Thursday, technically) Do you have your tickets yet? If you haven’t yet bought your tickets, you can use coupon code BETHESPARK at Fandango.com to get $1 off 3 or more tickets for a Thursday or Friday showing. 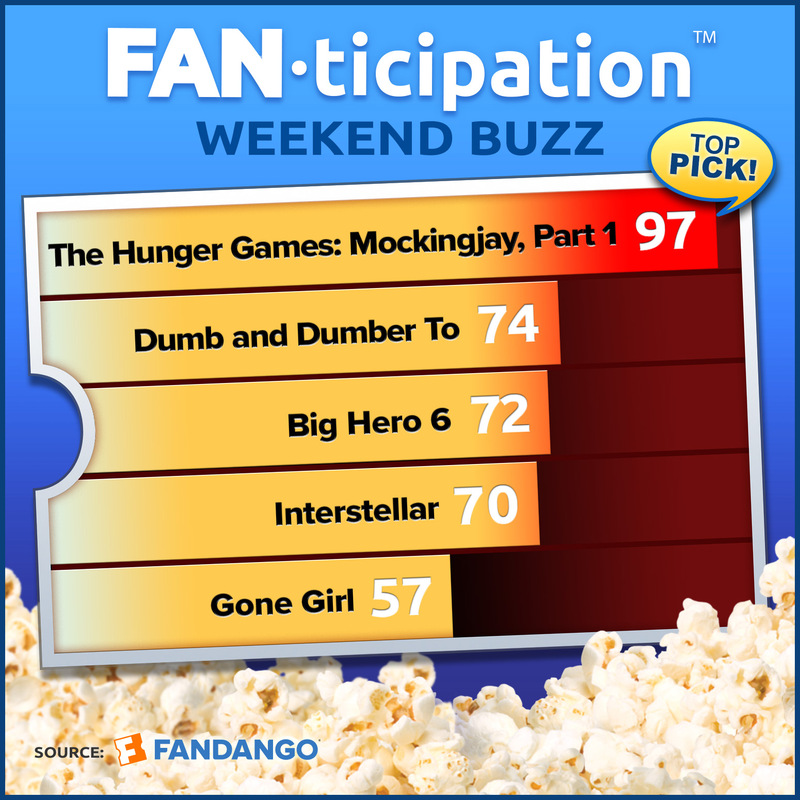 LOS ANGELES – November 19, 2014 – According to Fandango, the nation’s leading moviegoer destination, “The Hunger Games: Mockingjay – Part 1” represents more than 90% of Fandango’s weekend sales and scores a stirring 97 out of 100 points on the company’s Fanticipation movie buzz indicator, the highest score for any film this year. Already Fandango fans’ most anticipated film of 2014, “Mockingjay” is also on target to become Fandango’s top advance ticket-seller of the year. 52% picked Julianne Moore (as President Alma Coin) as the new-to-the-franchise actor they’re most excited to see; 33% picked Natalie Dormer (as Cressida). 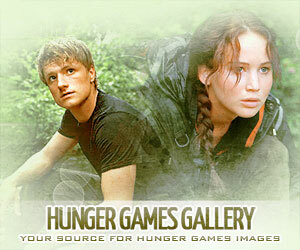 Fandango has launched “’The Hunger Games’ Guide” destination at Fandango.com/HungerGames, featuring an exclusive map of Panem, an exclusive fan-made collection of Chibi-styleportraits of Katniss’ evolution, a sleek Katniss “quote-poster”, and a special “Versus” trivia game video where Fandango’s Dave Karger challenges “Mockingjay” costars Jennifer Lawrence, Josh Hutcherson and Liam Hemsworth to see how much they really know about each other. Known for having its finger on the pulse of moviegoers, Fandango’s movie buzz indicator, Fanticipation, provides statistical insight into the movies fans are planning to see in a given weekend. Fanticipation scores (based on a 1 to 100-point scale) are calculated via an algorithm of Fandango’s advance ticket sales, website and mobile traffic, and social media engagement. Fanticipation is not intended as a forecast of the weekend box office; it is a snapshot of movie fan sentiment.